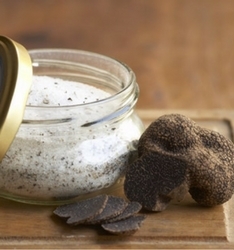 Earthy Truffles want an Earthy Wine. Truffle Salted Popcorn pairs perfectly with Pinot Noir. You can always air-pop your popcorn for a lower-fat option, but we like adding salt (in this case, truffle salt) to the oil in a big heavy dutch oven pan before popping. The oil in the pot is nicely infused and the salt gets well distributed throughout the batch. This also means you don't lose that beautiful truffle salt to the bottom of the popcorn bowl like you do when sprinkling on after popping. Buy Your 2014 Paul O'Brien Pinot Noir HERE. Also pairs with Cabernet Sauvignon, Merlot, Syrah or Tempranillo. Also pairs with Cabernet Sauvignon, Zinfandel or an oaky chardonnay. 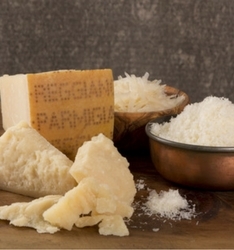 Strong cheese flavors require a robust wine, such as our Sangiovese. In order to make the Parmesan stick better to the popcorn, try pouring the popcorn and Parm into a large Tupperware container or ziplock bag immediately after the popcorn is done popping (while it’s still hot). Seal the container and give it a good hard shake in different directions. The heat and moisture from the popcorn will help the parm stick to the popcorn much better this way. If the toppings aren’t sticking, you may also need to use a bit more oil. Buy Your 2014 Paul O'Brien Sangiovese HERE. 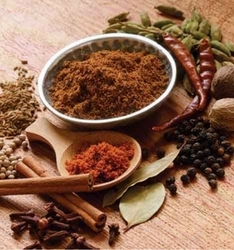 Global Spices like Garam Masala and other strong flavors pair deliciously with our Fume Blanc. Add garam masala and popcorn kernels together and stir until well-combined. Lower heat to medium, close lid, and while securely holding the lid in place, shake the pot (toward and away from you) continually as the popcorn pops. As soon as you hear a 2- to 3-second pause between pops, immediately turn off heat and transfer popcorn to a separate bowl. Season with salt and cayenne pepper to taste. Buy Your 2016 Paul O'Brien Fume Blanc HERE. Also pairs well with Gewürtztraminer and Riesling.